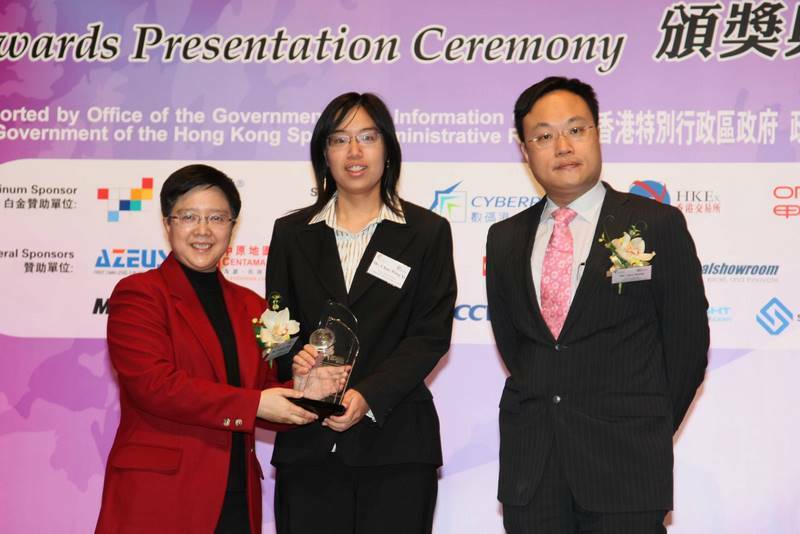 The project provides strong evidence about the source of pollutants and conditions of weather that cause pollution. 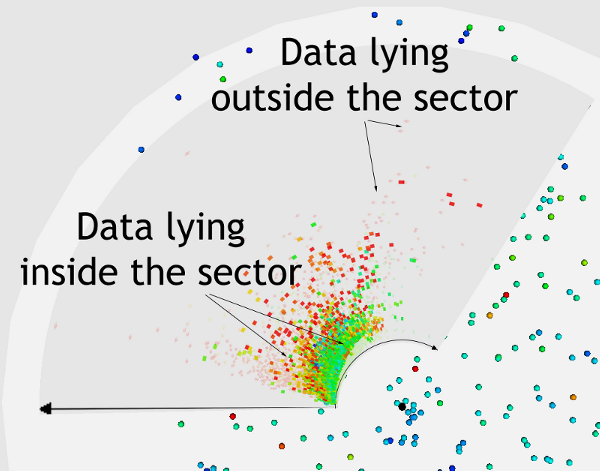 The proposed underlying analysis model is sophisticated and the visual representation is very easy to understand for both scientists and the public. 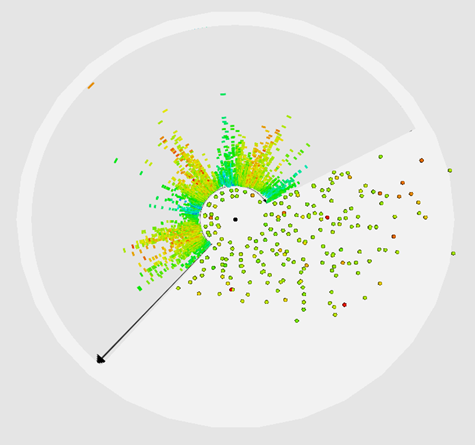 We present a comprehensive system for weather data visualization. 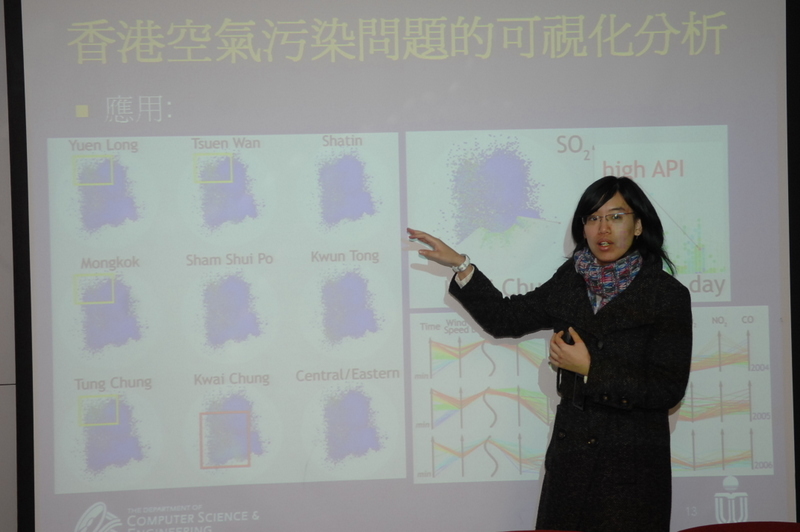 Weather data are multivariate and contain vector fields formed by wind speed and direction. 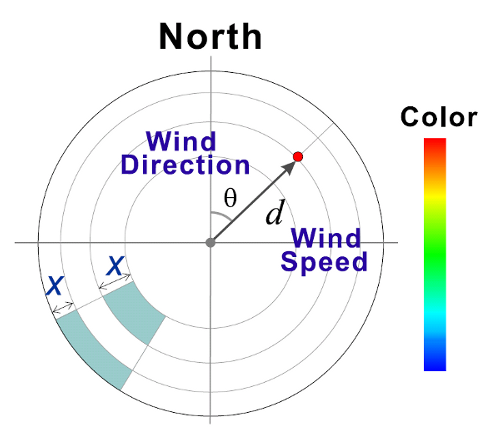 Several well-established visualization techniques such as parallel coordinates and polar systems are integrated into our system. 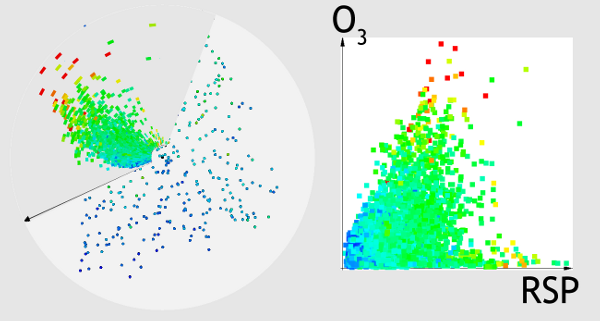 We also develop various novel methods, including circular pixel bar charts embedded into polar systems, enhanced parallel coordinates with S-shape axis, and weighted complete graphs. 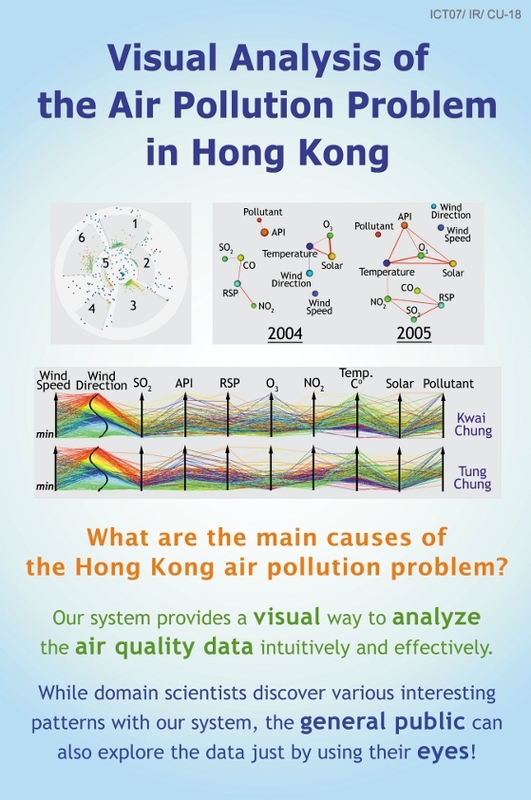 Our system was used to analyze the air pollution problem in Hong Kong and some interesting patterns have been found. 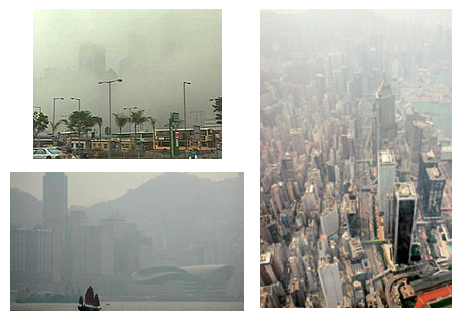 Hong Kong's air pollution problem. The spectacular harbor view has been increasingly crippled by a massive haze. 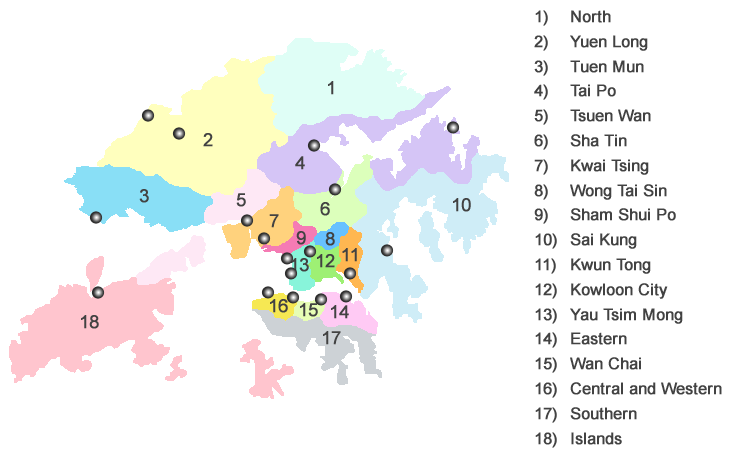 Locations of different air quality monitoring stations shown as dots in 18 districts of Hong Kong. 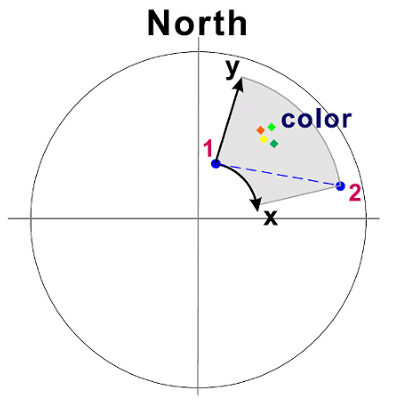 Traditional polar system: (a) Encoding scheme; (b) Mapping radius without preserving the area; (c) Area-preserving polar system. Blue denotes low values and red denotes high values. The color bar is also used for other figures. 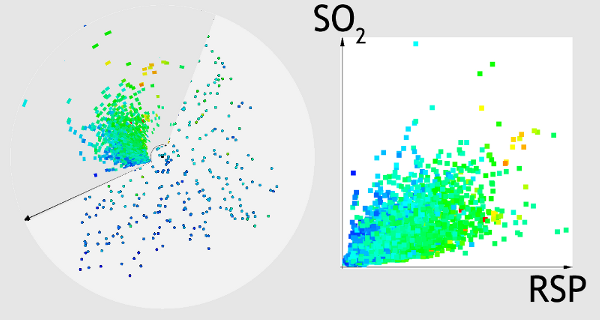 Polar system with circular pixel bar: (a) A sector selected by a user and a circular bar chart embedded into the sector; (b) Blending of circular pixel bar for data falling in the sector against one for its complement. Comparing circular pixel bars with rectangular ones: (a) A polar system with multiple circular pixel bars; (b) Conventional pixel bars for the sectors. The overall patterns are preserved in the sector for comparison, and in-depth numerical analysis may be performed on the supplement rectangular pixel bars. 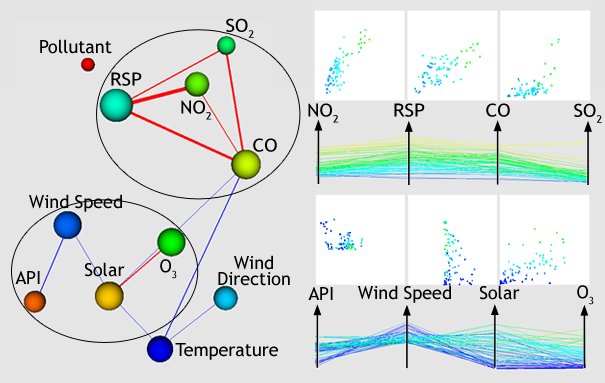 Polar system with time information: (a) x-position, y-position, and color of the sector indicate the month of observation, amount of SO2, and temperature, respectively; (b) the x-position now represents the day in which the entry was recorded; (c) the y-position now encodes the day and the x-position encodes the month. 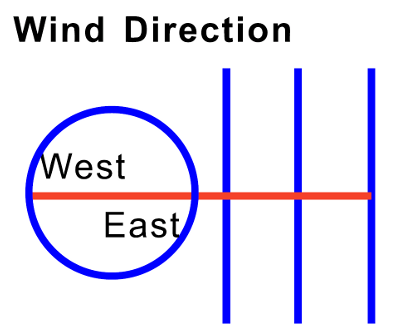 Different layouts of parallel coordinates: (a) Traditional layout; (b) Circular layout; (c) S-style layout. 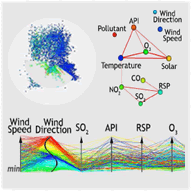 Enhanced parallel coordinates with S-shape axis to encode wind direction and scatterplot to reveal bi-variate relationship between neighboring axes. 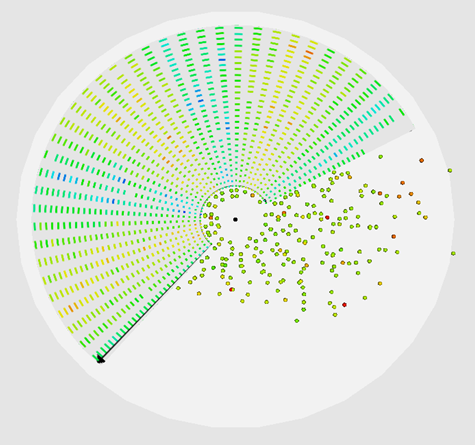 Weighted complete graph: (a) Layout of weighted complete graph with node size encoding the accumulated correlation coefficients and edge encoding the correlation between two nodes. Edges with small weights are removed for clarity. (b) Parallel coordinates with a user-chosen axis order based on the weighted complete graph; (c) Parallel coordinates with a random axis order. 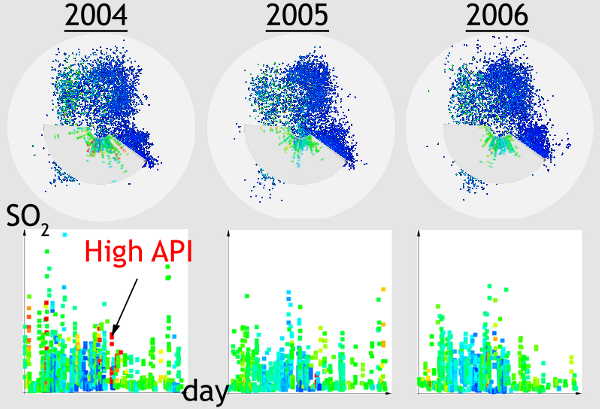 Detecting the correlation between the Air Pollution Index (API) and other attributes when API is high: (a) Initial polar system with color denoting API value. The northwest sector is chosen, plotting RSP against solar radiation. 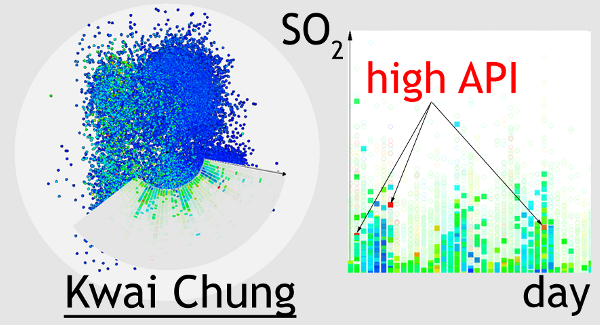 (b) Plotting RSP against SO2 instead, high API value (red pixels) are not found when SO2 is high, revealing SO2 contributed little to API. (c) Y-position now becomes O3 clearly correlated with API. 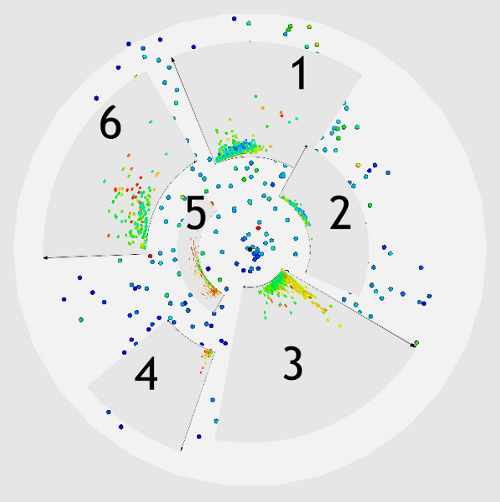 For (b) and (c), suspicious clusters (blue clusters behind green ones) are shown. 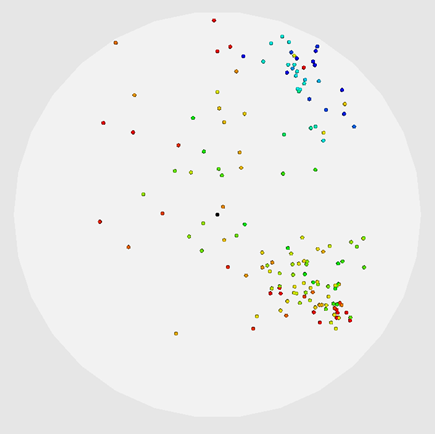 Detecting correlations of the same set of data by Parallel Coordinates, with color denoting API value. (a) Tracking the possible internal and external pollution sources through nine stations in the past three years. 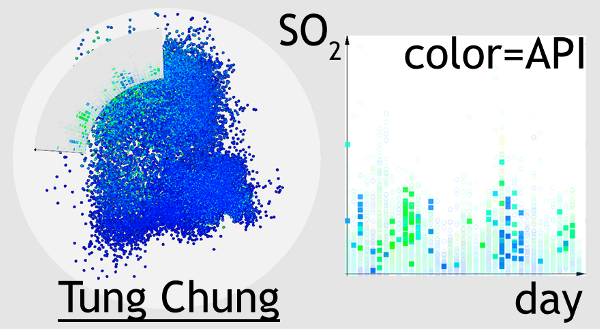 Pixel color represents the amount of SO2 recorded in each individual station. 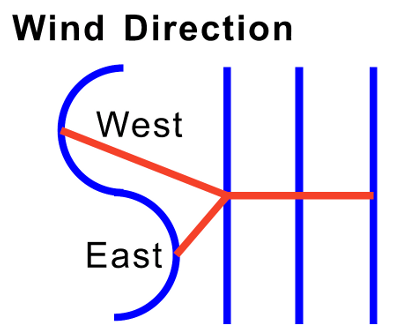 (b)-(c) The detailed plots for station Tung Chung and Kwai Chung respectively. 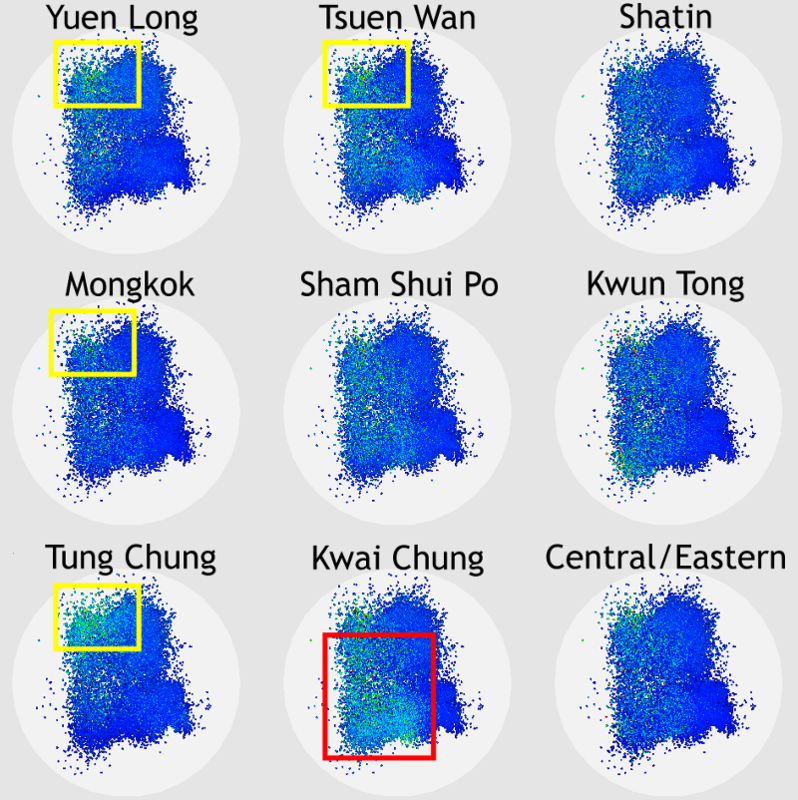 Comparing two stations, Kwai Chung and Tung Chung with parallel coordinates using color to represent wind direction. 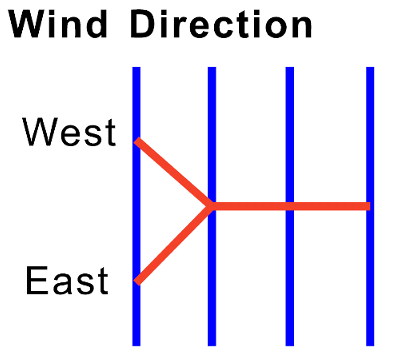 Clusters of wind direction records are found in Tung Chung station but not in Kwai Chung. 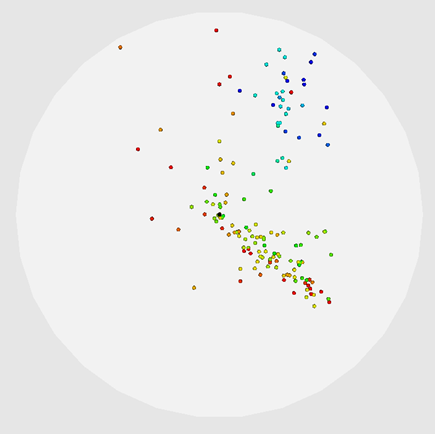 Visualizing time-series data. 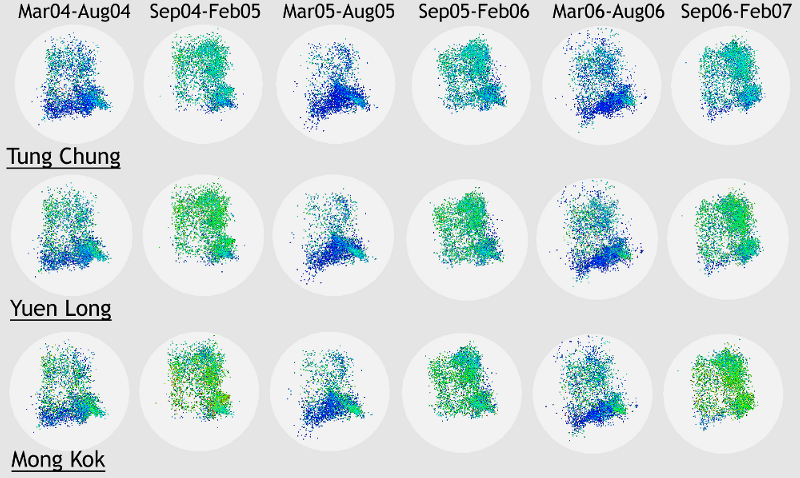 Each row is comprised of polar plots for different stations, namely Tung Chung, Yuen Long and Mong Kok, in different periods of time from March 2004 to March 2007 at intervals of six months. The pixel color denotes the Air Pollution Index (API). 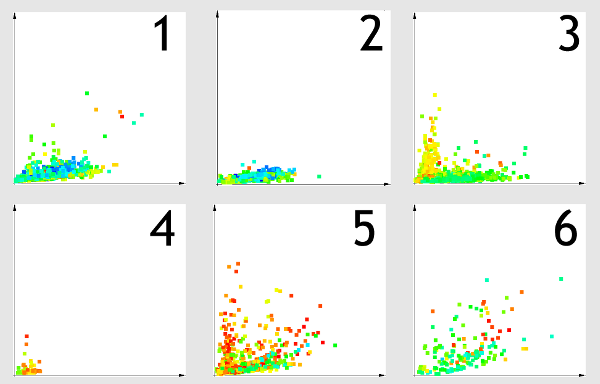 Time-series polar plots for Kwai Chung station focusing on the impact of local pollution from the southwest direction. 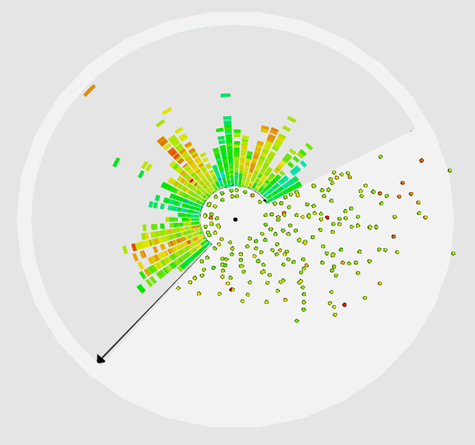 X-position, y-position, and color of the sector encode day, SO2, and API accordingly. Prominent red pixels are mainly seen in year 2004. 3-year time-series data of Yuen Long district that are constrained to a range of wind speed and direction by sector selection: (a) Weighted complete graph for each year with edge width encoding the correlation strength; (b) Parallel Coordinates with a time axis. Color also denotes time value for clarity. 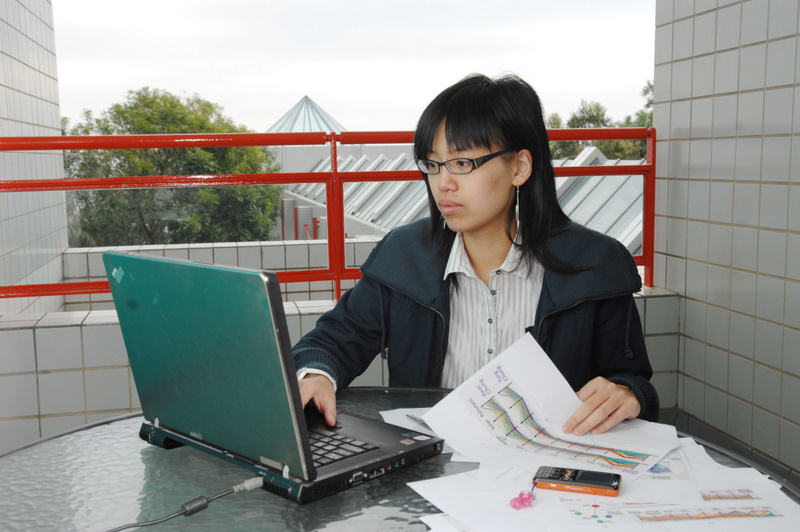 Using a weighted complete graph as a visual aid in exploring dimension correlations for year 2006 data of the Yuen Long station: (a) By arranging more correlated attributes together, positive and negative correlations are clearly shown in the parallel coordinates; (b) Users can also plot the attributes demonstrating interesting relationships in the weighted complete graph as the embedded pixel bar in the polar system.